Back in November of last year, George Koomullil, our Founder & CEO, outlined a somewhat radical proposal. In it he made a call to make IP more transparent so that it may be brought into the mainstream. He suggested some steps that could hasten this process. The crux of George’s proposal was that there needed to be a common framework to capture the technical and legal parameters of patents in a uniform manner upfront when the patent is filed. This would enable it to be accessed easily in a known and transparent manner later when required. Fast forward two months later to Relecura’s New Year’s release and we begin to see the shape of the technology enablers that might help implement such a plan. Relecura’s New Year’s release includes the following modules – Taxonomy Builder, Portfolio Manager, and Automated Reports. Our press release describes the modules and briefly touches upon the function and benefits of each. George blogged about the new release as well. There are two areas where Artificial Intelligence (AI) comes in handy. The first is to represent the knowledge available in IP documents through an appropriate formal framework. The second is to assist in accurately capturing the knowledge from patent documents into the framework. We are some way off from capturing knowledge from a patent claim into a formal framework. Capturing the knowledge to a reasonable level from patent portfolios and from subject matter experts is however possible. Using the Taxonomy Builder, Relecura has devised a framework to “encode”, capture and reuse the knowledge available in patent portfolios and with subject matter experts. The encoding is structured in the form of a hierarchical taxonomy, and in a language transparent to the users. AI assists in the capture of the appropriate parameters to accurately specify the technology or knowledge. The taxonomies form a knowledge-base. They are “decoded” to obtain insights, by being mapped to various patent portfolios. 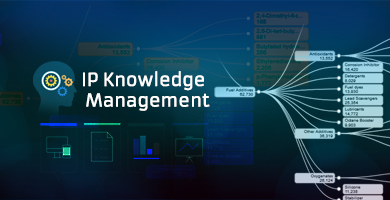 The Automated Reports module does the job of disseminating the IP insights in a readable manner that even non-IP professionals can understand. This is a small step towards the idea set forth by George. Relecura’s new release points to the direction in which the goal of making IP more transparent may be achieved. 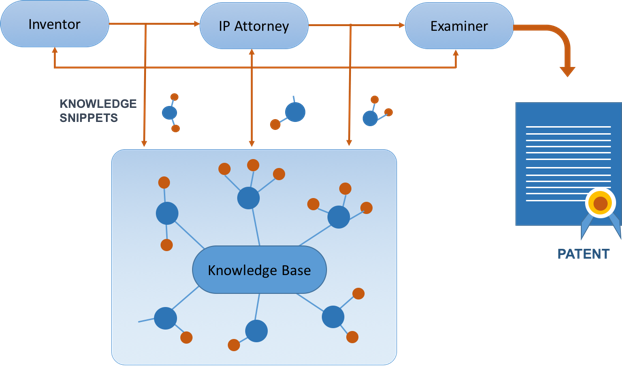 The benefits that accrue from transparent IP knowledge-sharing will hopefully prompt the various stakeholders in the innovation ecosystem to buy into the idea. See the video below to get a better sense of how the three modules in Relecura’s new release work in tandem to deliver the goal of better IP knowledge and portfolio management. If you would like an in-depth demo, mail us at support@relecura.com and we will set one up for you.